Announcement Do not be afraid to put your love for nature on display! 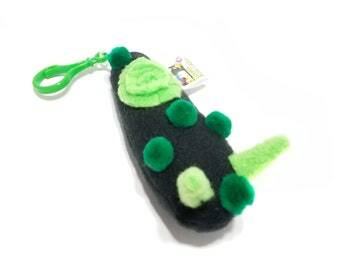 I am a science teacher who creates handmade plush toys of insects, invertebrates, and other creatures. Do not be afraid to put your love for nature on display! 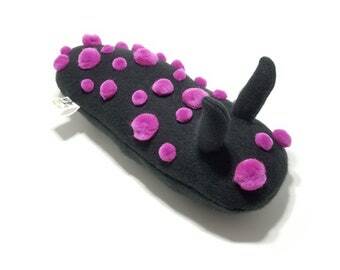 My nephew is studying Environmental Science and wanted a caddisfly for his office- both for a mascot and education. Brigette made this amazing plushie using his photos and color request!! Item cute as pictured. Shipping fast! I simply love it. Excellent craftsmanship. Thanks so much! "Is it the bugs that are weird, or you?" There have been two constants in my life: my love for insects, and my desire to create. By second grade I was selling my drawings to my friends for 25 cents each. In third grade I showed up to "career day" with my butterfly net. My science teachers all thought I would grow up to be a scientist. My art teachers all thought I would be an artist. It wasn't until I reached college that I adopted my grandmother's sewing machine. Inspired by my zoology courses, I set out to combine my two passions. I have achieved my dream of a PhD in entomology and evolutionary biology, and I am now a science teacher. With outreach and education on my mind, sewing is one more outlet for invertebrate education, joy, and wonder. I am an entomologist, science teacher, and artist. Hello and welcome to my shop. 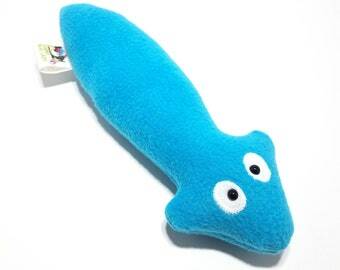 I aim to provide a service to anyone who desires a plush version of their favorite unusual creature. Do not be afraid to put your love for nature on display! Should you be unsatisfied with your purchase in any way, please contact me. I will accept returns and offer a refund if the item is returned in its original condition within 30 days. I may also be able to alter the item or exchange it. I accept Paypal, credit cards, and Etsy gift cards through direct checkout. 6.35% Sales tax will be added automatically during checkout. For custom orders I require the entire payment up front. This will occur after we discuss and agree upon the order. All orders are shipped first class with delivery confirmation and insurance. Priority shipping is also available at checkout. I will ship anywhere in the world! I fill out customs forms truthfully (I will not put "gift"), and any customs fees incurred are your responsibility. Have limited availability. Please see my shop announcement (or look for the custom order button) to determine if I am currently accepting custom orders. Pricing varies greatly depending on the size and complexity of the piece. Something small with a lot of details may take more time than something large and simple. I recommend looking at items currently in my shop to get an idea of prices - they range from $35 to $200+. I am happy to give a quote. I own my home, where there is no smoking or use of scented cleaning products. I do have furry pets: two rabbits, and two cats. While my materials are CPSIA compliant, since each item is handmade, my plushies have not undergone testing as childrens' toys. I am a registered small-batch manufacturer through the CPSC (Registration Number: 021413-092018). My plushies are not for children 3 and under. If you have any concerns over parts (such as safety eyes or appendages) please send me a convo before purchasing. Help! I need a plush of my favorite creature! Can you help? Maybe! I take custom requests on a limited basis, and will announce on my shop page when they are available. If you see that I am currently accepting custom orders, please use the Etsy "Request Custom Order" button in my shop to initiate a conversation. Be prepared with the name of the organism and your preferred size, color(s), and price range. After we discuss and agree upon a quote, I will create a custom listing you can purchase. After purchase, I will create your plushie. 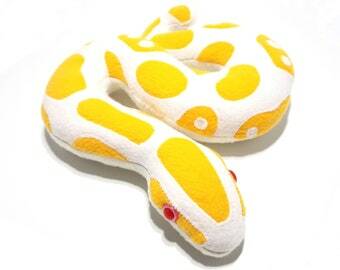 I will send a photo of the completed plush for your approval, and then ship. How tough are these plushies, anyway? 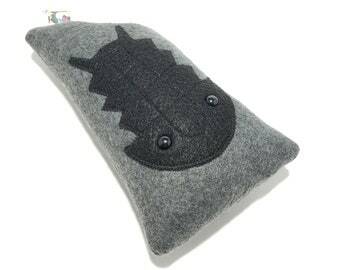 My plushies are made with a combination of hand and machine stitching. They are not recommended for rough play, or as dog chew toys. However, they should hold up to regular, gently play or as an office decoration. I recommend spot cleaning only. All plushies are wrapped in colorful tissue paper, and sealed in a bubble-lined poly mailer. Do you use any patterns? I have a few self-designed patterns I use for my most popular plushies, but most are created entirely free-form. 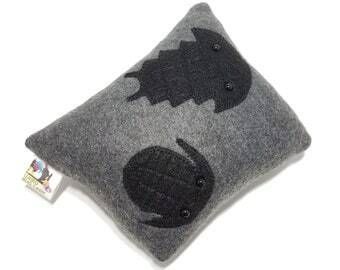 Can I use your patterns to make my own plushies? Sorry, but I will not give out (or sell) any of my patterns. Fleece fabric, felt fabric, polyfil stuffing, plastic safety eyes, thread, and cotton tracking labels.